All Govt employee of Chandigarh Administration can see their salary statement or slip and personal information from SEVAARTH Finance Department of Chandigarh Administration. SEVAARTH is an important component of IFMS i.e. Integrated Finance Management System which provides facility for data exchange with Treasury NET and BEANS Budget Estimation, Authorization and Monitoring System. Enter Your Username and Password. 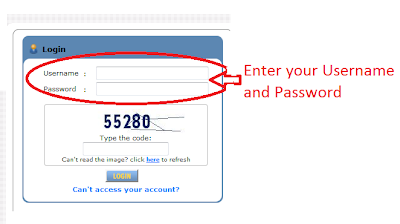 If you do not have Username and Password, get it from your DDO. Then enter security/image code (shown five digit no blue colour) press login button.